Microsoft Office applications have trust issues. 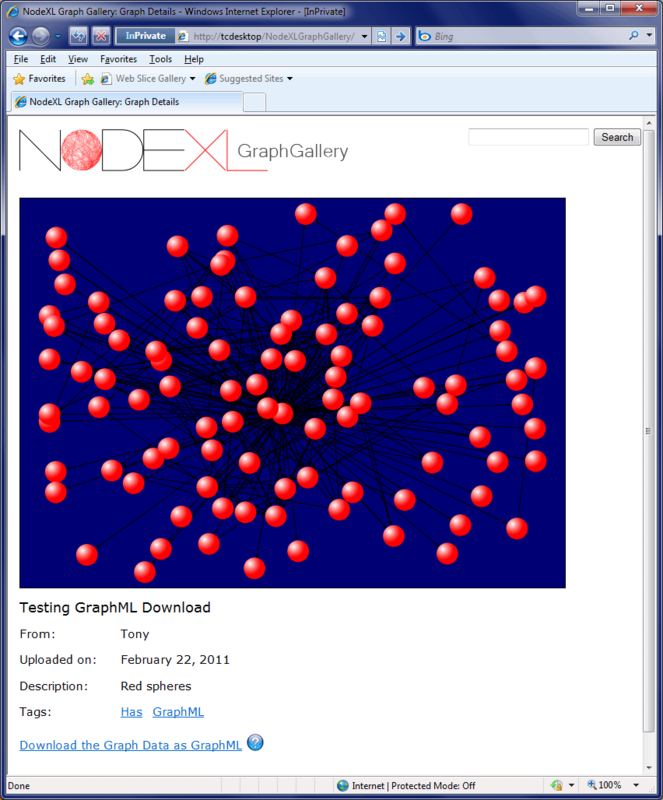 When you download a NodeXL workbook from a different machine (perhaps from http://nodexlgraphgallery.org) you may get an error like this one that mentions “trusted locations”. This problem is caused by a lack of trust. Excel documents may contain harmful code (“malware”) and the solution Microsoft created was the idea of “Trusted Locations”. 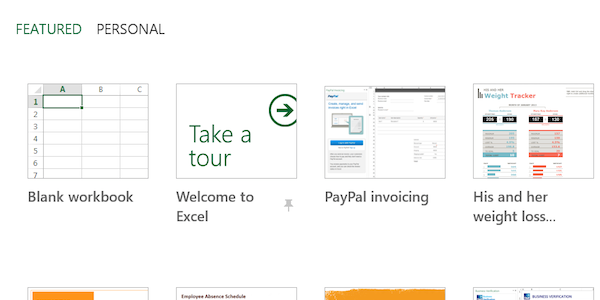 Only folders that have been identified as “trusted locations” will allow you to open Excel files that run embedded code, which are needed by NodeXL to run. Below are the steps needed to make a folder a trusted location. Once you have done that, NodeXL files stored in that folder will no longer display this error when they are opened. 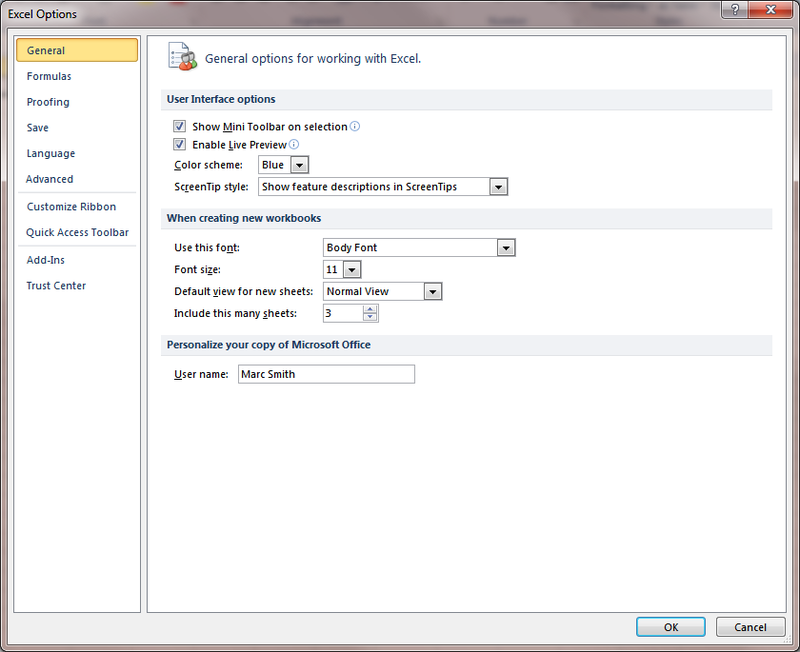 The Excel Options dialog. Select “Trust Center”. 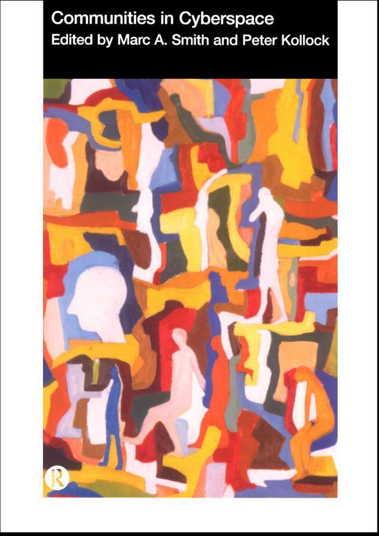 The Excel Trust Center dialog. 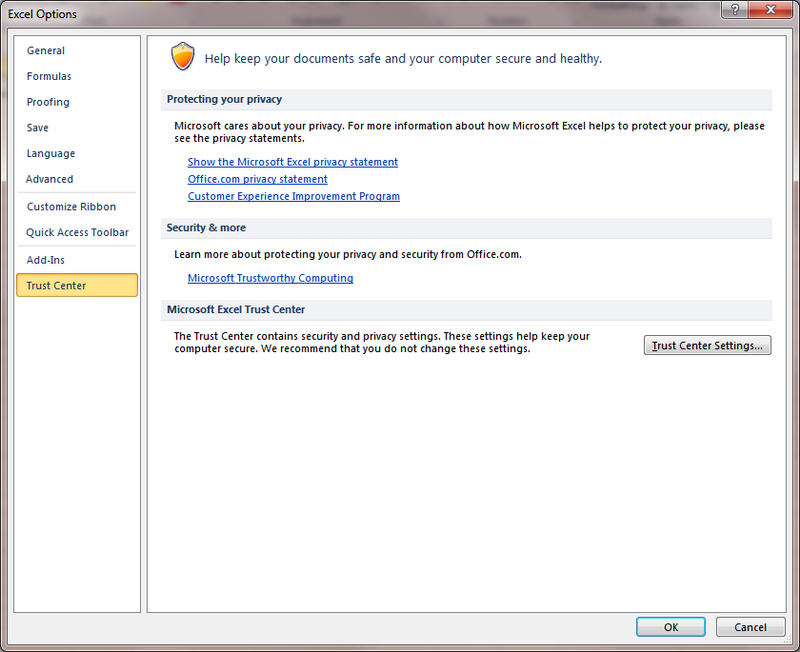 Select “Trust Center Settings”. Step 4. 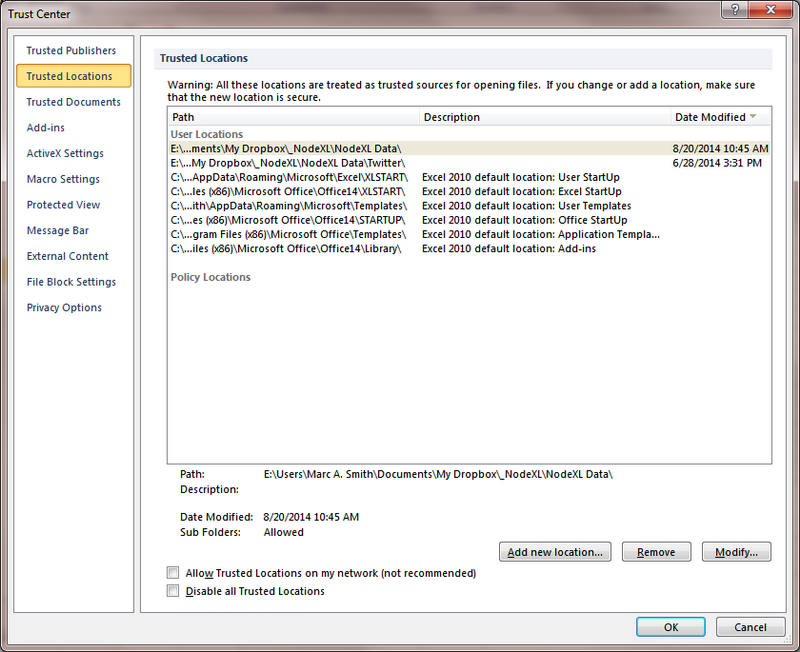 The Excel Trusted Locations dialog. Select “Add new location…”. 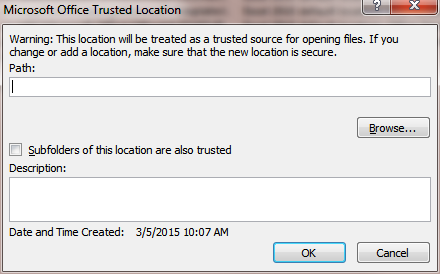 The Excel Trusted Location dialog. 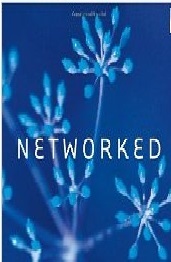 Enter the path to your NodeXL directory here. Select the “Subfolders of this location are also trusted”. Select OK to every dialog. It is not recommended that the download directory for your browser be granted Trusted location status. 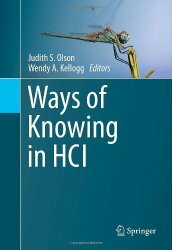 This will require NodeXL users to download files and then copy or move them to a Trusted Location in order to open and use the complete NodeXL functionality in the file. 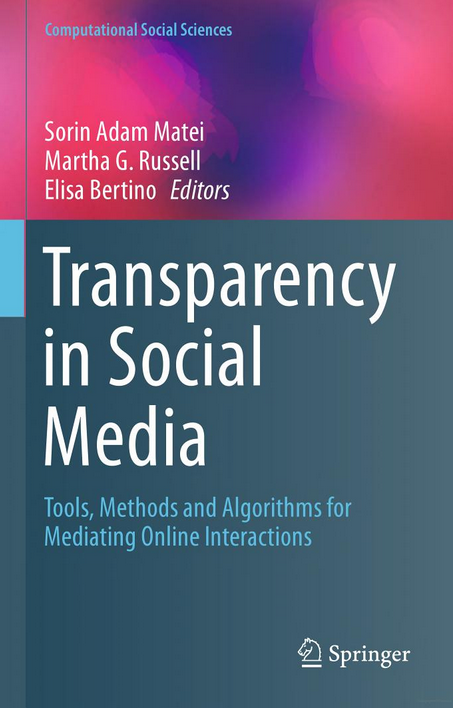 The NodeXL team from the Social Media Research Foundation has released a web application that allows users to upload network files and download files other users have uploaded. 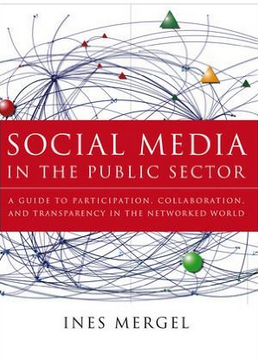 The Social Media Research Foundation is dedicated to Open Tools, Open Data, and Open Scholarship. 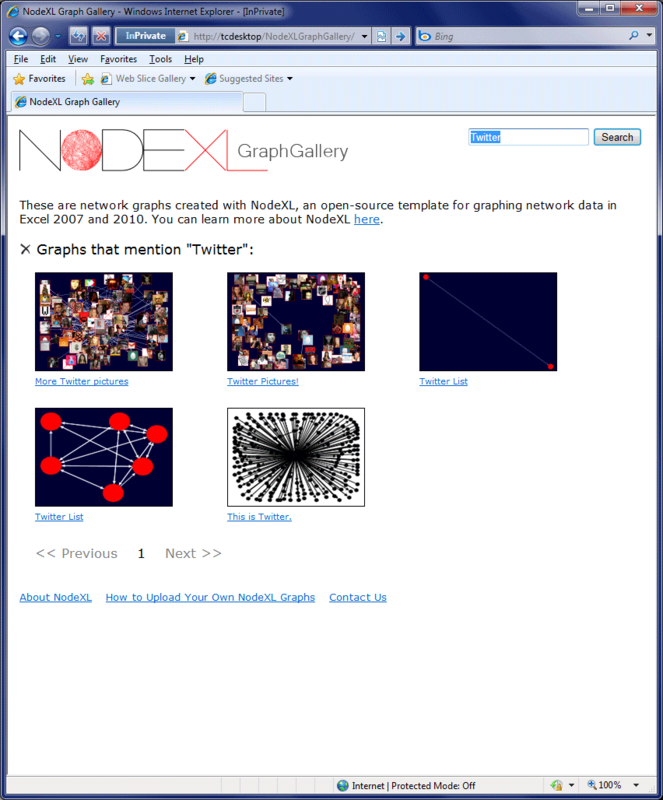 The NodeXL Graph Gallery on the Web enables the research community to collectively gather and share data sets. 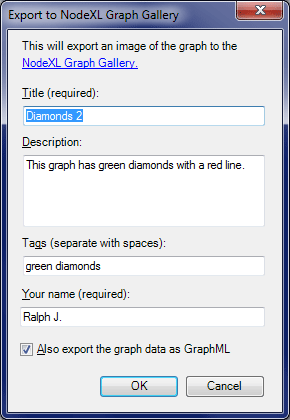 Users can then get details about the network graph and download those files they would like to investigate. Get updates when there is new content from Connected Action. By subscribing, I accept the privacy rules of this site. 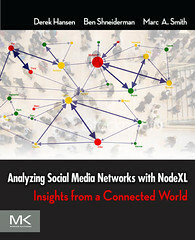 The book Analyzing Social Media Networks with NodeXL: Insights from a connected world is now available from Morgan-Kaufman and Amazon.